When you attempt to remove a printer port that is no longer in use, you may receive an error message saying “The requested resource is in use”. Try these steps to solve this issue. 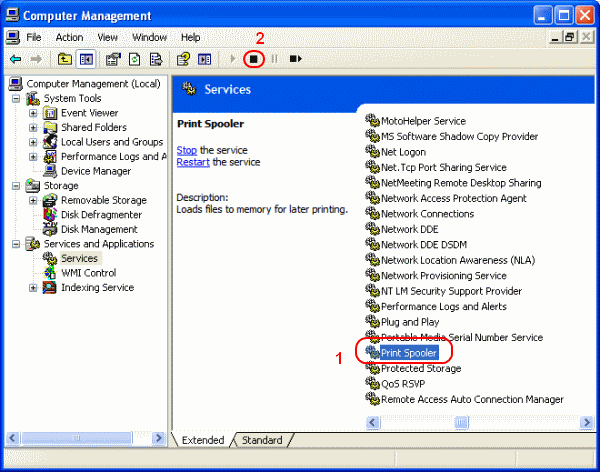 To successfully remove the port and avoid this error, you will need to stop and restart the Print Spooler service. These steps assume you have already removed all printers that used the port you are removing. Hold down the Windows Key and press “R” to bring up the Windows Run dialog. Type “services.msc“, then click “OK“. Highlight the “Print Spooler” service, then click the “Stop” button. Delete the printer port you wish to remove. 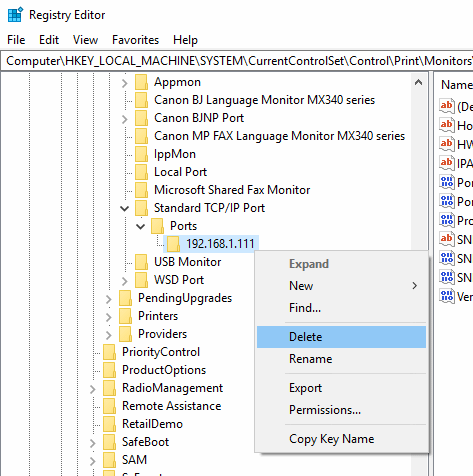 I prefer to remove the port from the registry as you may no longer have the printer port listed under “Devices and Printers” when you stop the Print Spooler. Use these steps. Hold the Windows Key and press “R” to bring up the Run window. Type “regedit” then press “Enter” to bring up the Registry Editor. Right-click and delete the folder with the name of the port you wish to remove. Also check under HKEY_LOCAL_MACHINE \ SYSTEM \ CurrentControlSet \ Control \ Print \ Monitors \ LPR Port to remove any ports. After these steps are performed, you can start the Print Spooler up again. This worked great. Thank you for having a helpful web page.